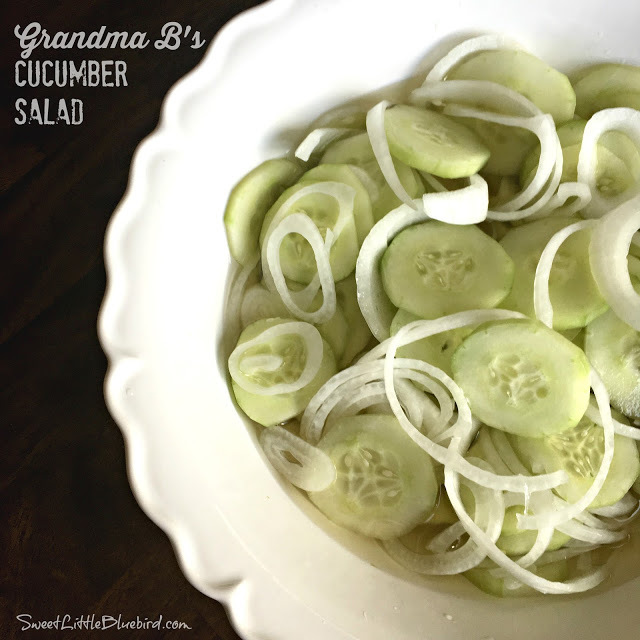 Today I am sharing another childhood favorite, a summer tradition at my grandparents’ for each and every barbecue – Cucumber Salad! 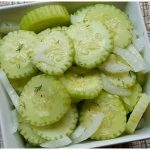 Crisp summer cucumbers and onions thinly sliced, marinated in a simple yummy vinegar, sugar and water dressing. 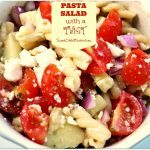 A summertime favorite side dish. 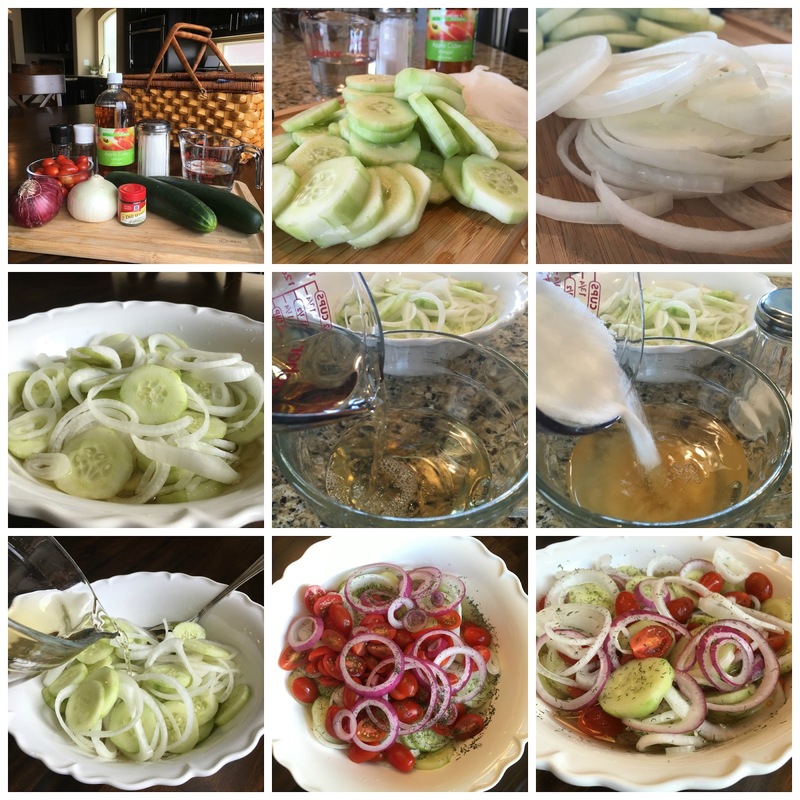 Cucumber Salad – A traditional, old-school classic recipe. Refreshing, cool and crisp, perfect on hot summer days. 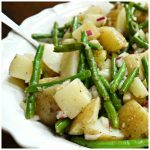 This is the perfect side dish for any family gathering, picnic, BBQ or potluck – even better, it’s budget friendly! 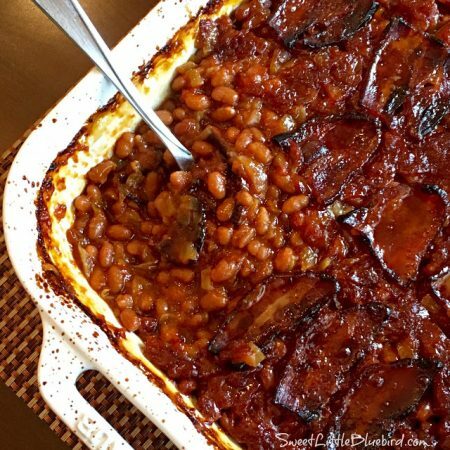 Every time my grandpa grilled steaks, burgers or hot dogs in the summer, this was always one of the side dishes. 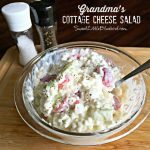 My great-grandma, (Grandma B), loved this salad, hence the name. Over the years I have changed the recipe a smidgen, adding tomatoes and dill for another layer of flavor. I also like mixing in a little red onion along with a white or Vidalia onion. 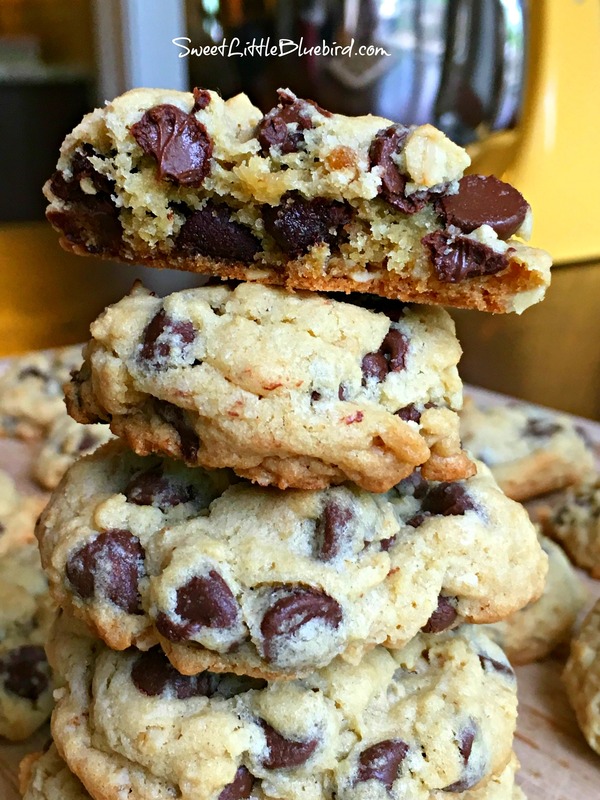 Sometimes the simplest recipes are the best ones. 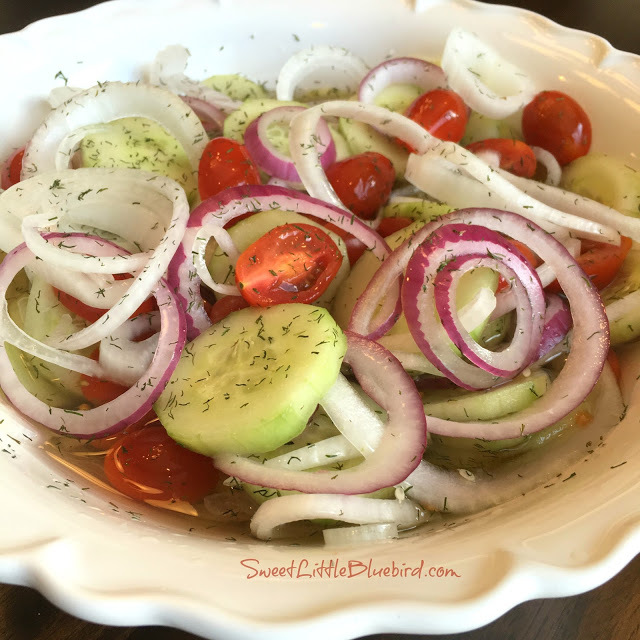 This salad allows the garden fresh cucumbers and onions (and tomatoes) to shine. I love lots and lots of dill in the salad (optional). Fresh dill weed is best, but dry dill weed works well too. 1 small onion, sliced thin (use your favorite onion – Vidalia is great, sweet onion or white). I like to mix in a little red onion for color, I also love the taste. 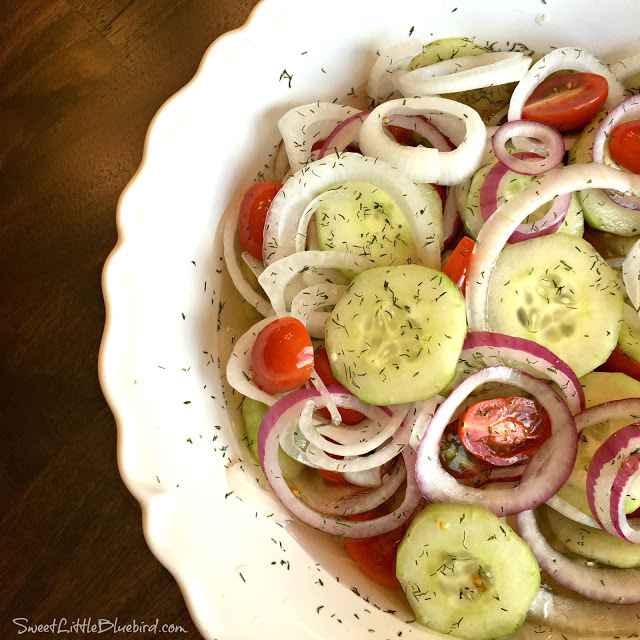 Place sliced cucumbers and onions (tomatoes if you are using them) in a medium size bowl. 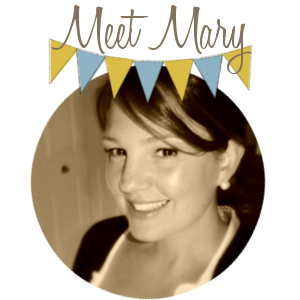 In a separate medium size bowl (or large 4 cup measuring cup), mix vinegar, water and sugar until sugar is dissolved. Pour over veggies. If adding dill, toss in dill and mix well. 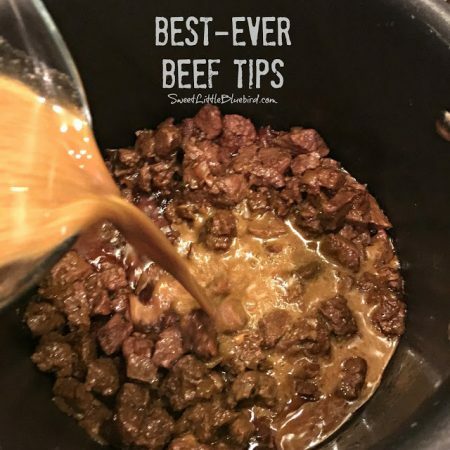 Cover and place in fridge for two to three hours before serving. Serve chilled. Salt and pepper to taste. Enjoy! My mother did the same.recipe except she mixed the vinegar, water and sugar and heats it on the stove to just below boiling point. Then pours over cucumbers and onions. My son loves them. I make them weekly in the summer and he like’s the crushed red pepper flakes in them. Yummy. I will have to try it. I usually use sour cream in my recipe. I love the tomatoes in yours.